July 21, 2011 - American Airlines to spend close to $40 billion in aircraft orders between Boeing and its European rival Airbus. Airbus and American Airlines, have signed a firm contract for American to acquire 260 modern, fuel-efficient Airbus A320 Family aircraft. Boeing has also confirmed that American Airlines has selected Boeing to provide 200 narrow body airplanes, with options for 100 more, to accelerate its single-aisle fleet replacement. Under the new agreements, American will acquire 460 narrowbody, single-aisle aircraft from the Boeing 737 and Airbus A320 families beginning in 2013 through 2022, the largest aircraft order in aviation history. As part of these agreements, starting in 2017 American will become the first network U.S. airline to begin taking delivery of "next generation" narrowbody aircraft that will further accelerate fuel-efficiency gains. These new deliveries are expected to pave the way for American to have the youngest and most fuel-efficient fleet among its U.S. airline peers in approximately five years. Boeings contract calls for flexibility for the airline to take delivery of A319s, A320s and A321s, with 130 featuring Airbus? New Engine Option (neo). All 260 aircraft will feature large, fuel-saving wingtip devices known as Sharklets. The agreement includes 100 Next-Generation 737s, with options for an additional 40 airplanes. Boeing and American Airlines will work to finalize the agreement over the next several weeks, at which time it will be a firm order and posted to the Boeing Orders and Deliveries website. In addition, American Airlines has committed to order a variant of the 737 featuring new more fuel-efficient engines, pending final airplane configuration and launch approval of the program by the Boeing board of directors. This commitment for 100 airplanes, with options for 60 more, is the first of many anticipated for this variant. The airplane would be powered by CFM International's LEAP-X engine. "This agreement highlights our focus on investing in our fleet for the benefit of our shareholders, customers and employees," said Tom Horton, president, AMR Corp., the parent company of American Airlines and American Eagle. "The addition of these Next-Generation 737s will play a critical role in replacing our narrowbody fleet with more fuel-efficient aircraft offering state-of-the-art customer features." American Airlines' current fleet of more than 600 Boeing airplanes includes 156 Next-Generation 737-800s delivered to date. The agreement builds on American Airlines' existing backlog of 64 Boeing airplanes consisting of 51 737-800s, seven 777-200ERs (extended range) and six 777-300ERs. In addition, American Airlines has an existing purchase agreement with Boeing to acquire an initial 42 787-9 Dreamliners, with the right to purchase up to 58 additional 787s. "American Airlines is an industry leader whose vision and disciplined approach to growth has made it one of the largest airlines in the world," said Boeing Commercial Airplanes President and CEO Jim Albaugh. "This agreement will provide American Airlines with the most capable airplanes in the narrowbody marketplace and continue to deliver industry leading economics. Demand for the 737 remains very strong from customers around the world and we have deliberately retained delivery positions to meet the fleet requirements for all our valued customers." The deal between Airbus and American was announced on Wednesday at the airline?s Dallas/Ft. Worth hub. The airline plans to announce its choice of engines to power the aircraft at a later date. ?We are pleased to add the Airbus single-aisle family as an important component of our fleet modernization strategy,? said AMR and American Airlines President Tom Horton. ?The A320 Family of aircraft will help us achieve improved fuel efficiency and other operational savings, while offering our customers state-of-the-art technology and an enhanced travel experience. We look forward to a successful partnership with Airbus.? ?We are extremely proud and gratified once again to count American Airlines among Airbus? global customers,? said Airbus President and CEO Tom Enders. ?The order by American represents a strong endorsement of our constantly improving single-aisle product line. 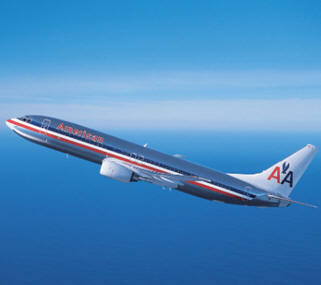 All of us at Airbus look forward to seeing the American Airlines livery on A320 Family aircraft ? and we look forward to fulfilling our commitment to providing the people of American, as well as their passengers, with the highest level of support and service in the industry.? The A320neo, launched in late 2010, is the latest product innovation at Airbus. These new A319, A320 and A321 models feature a choice of two new engines ? the PurePower PW1100G from Pratt & Whitney or the LEAP-X from CFM International. Together, the Sharklets and new engine choices result in a 15 percent fuel burn reduction, corresponding to an annual carbon dioxide reduction of 3,600 metric tons per aircraft. Compared to prior-generation narrowbody aircraft, the fuel savings could easily amount to up to 30 percent. Since launching the innovative product in December of last year, Airbus has received orders and commitments for almost 1200 A320neo Family aircraft.